This video provides the viewer with complete step-by-step instructions on how to assemble the wheelchair platform swing from SportsPlay Equipment, Inc. This short video shows how to quickly and easily repair minor scratches in plastic playground equipment such as slides. 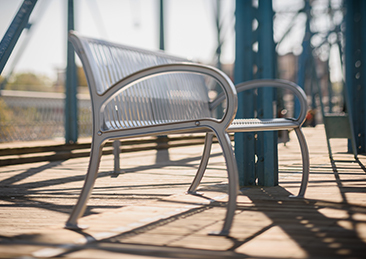 This short video shows how to quickly and easily repair minor damage to SportsPlay thermoplastic coatings — such as on benches, picnic tables, and playground decks. Instructional video describing an advanced exercise using the ACTIONFIT Captain’s Chair. The FitTech Series of outdoor exercise equipment by ACTIONFIT delivers each element of fitness without being confined indoors. Users can enjoy dynamic motion equipment that is easily accessible along walking paths while receiving the heath benefits of being outdoors. In an age obsessed with gadgets and computing devices, indoor activities for both the kids and adults are on the rise. In the last decade or so, all types of interactions, whether personal or formal, are increasingly through a gadget and kids particularly are missing some interpersonal skills which can be attributed to this device-addiction. Watching TV, playing games on the computer and doodling on the tablet are common daily activities amongst the kids of ages 1-12, even older. 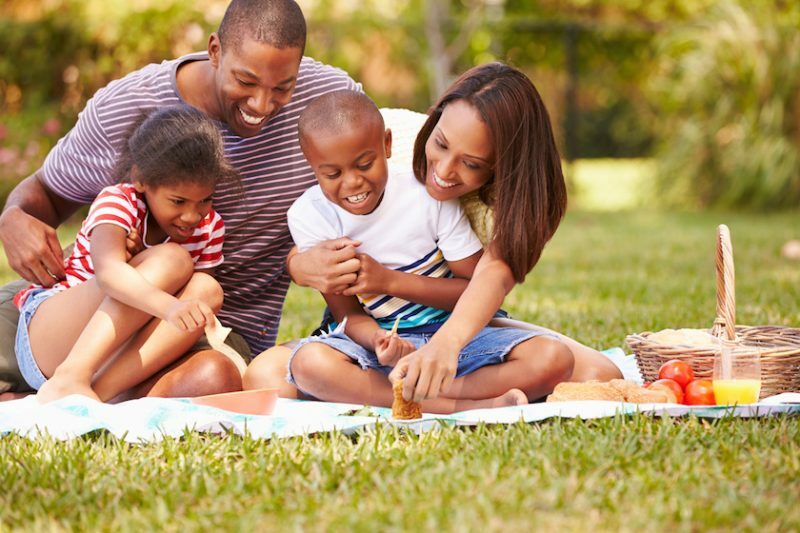 Playing outdoors, in the parks and playgrounds, is an activity that is mostly ignored either due to the lack of time on the part of caregivers or because it does not hold the interest of kids as the visual media does. Playing outdoors is an important element in the physical development of children. 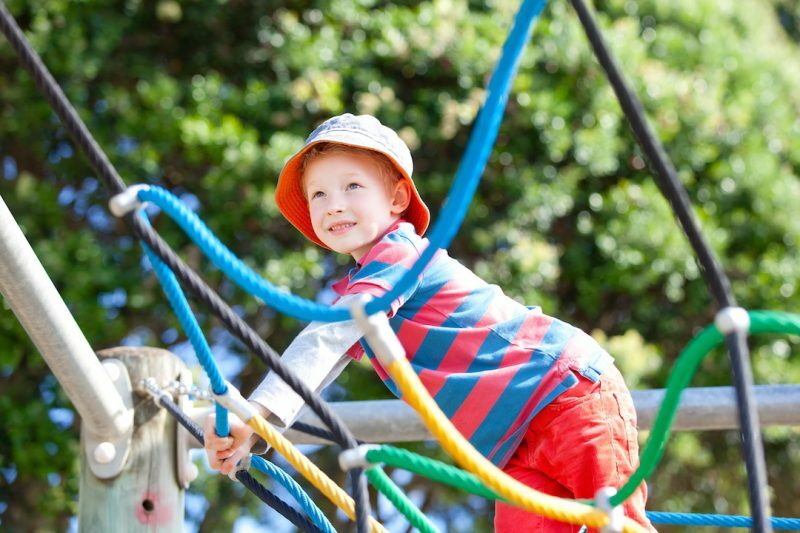 Outdoor play in parks and playgrounds allows children an opportunity to engage in physical activities like jumping, running and climbing trees or slides in the playground which help develop their muscles. These physical activities are particularly instrumental in fighting health conditions linked to sedentary lifestyle like childhood obesity. Outdoor play can reduce stress among kids (yes, kids suffer from stress too! ), improve their motor skills and help in social growth and development through interaction with other children. Studies about child behaviour show that the lack of outdoor play is directly linked to attention-deficit disorders, learning disabilities and impaired psychological and emotional development among children. Parents nowadays are worried about their kids’ safety and are afraid to allow their kids to engage in physical activities that will be beneficial in the long-term. For kids to find fulfillment in their physical play, experts recommend allowing them to indulge in “free play”. The concept of free play is simple – no rules, no coaches, no supervision. When kids play by making rules on-the- way, they learn as well as enjoy. Physical activities in a playground can promote self-confidence and a sense of responsibility in younger kids. Games which are unstructured also help in promoting creativity, an attitude towards problem-solving and a cohesiveness in behavior which is hard to foster through activities designed for tablets. 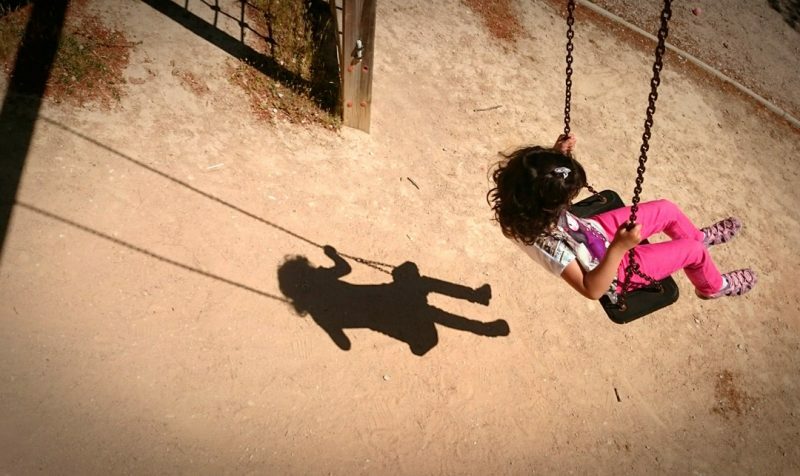 Health and psychology experts are increasing cautioning parents that if kids are not allowed to play outdoors for at least an hour every day, it can hamper their development and behavior as adults. So allow your kids the pleasure of getting to play outdoors. It may well be one of the best gifts that you will ever give them! Tonya Martin, CI,CPT (Certified Personal Trainer), explains how to create a well-rounded fitness program using ACTIONFIT outdoor fitness equipment. Buying a swing set can be easy but a few pointers should be kept in mind while purchasing them, first and foremost is the security. Few guidelines should be followed and you can be assured your child will be safe. Swing sets come in all shapes, sizes and materials, catering to all weather and location conditions. When shopping for one for the home always factor in climate. Think about where the swing set will be based, this is important as some swing sets fair better in certain weather conditions than others. Shoppers should have the prospective users in mind when searching through listings. All swing sets can support young children with ease; however older children may not be as fortunate in terms of what they can use. Understanding the weight limit of a model is a must. The frame should be the focal point of any swing set purchase. Even though they are not the ones funding the swing set children are the ones using it? Take their opinions on features and design into account during the shopping process. For younger children who can’t communicate their opinions play close attention to what equipment they already enjoy and purchase something that is similar. Swing sets can be an expensive investment so it needs to be able to remain suitable as a child grows. Invest sensibly! The Traditional Series of outdoor exercise equipment by ACTIONFIT delivers each element of fitness without being confined indoors. Users can enjoy static equipment that is easily accessible along walking paths while receiving the heath benefits of being outdoors. Playgrounds and outdoor play equipment offer kids fresh air, friends, and exercise. So it’s important for parents to make sure that faulty equipment, improper surfaces, and careless behavior don’t ruin the fun. Each year, more than 200,000 kids are treated in hospital for playground-related injuries. Many of these accidents can be prevented with the proper supervision. You can make the playground entertaining and safe for your kids and the other benches and grills and tables too by checking them for potential hazards and following some simple safety guidelines. In the safest playgrounds, play areas for younger children are separated from those meant for older kids and signs clearly designate each area to prevent confusion. Younger children should not play on equipment designed for older kids because the equipment sizes and proportions won’t be right for small kids, and this can lead to injury. Likewise, older kids shouldn’t play on equipment designed for younger ones. Smaller equipment and spaces can cause problems for bigger kids. Because swings, slides, and climbing equipment are so different from one another, each requires a different set of safety considerations. And some kinds of equipment are not safe for playgrounds, no matter how careful kids are. 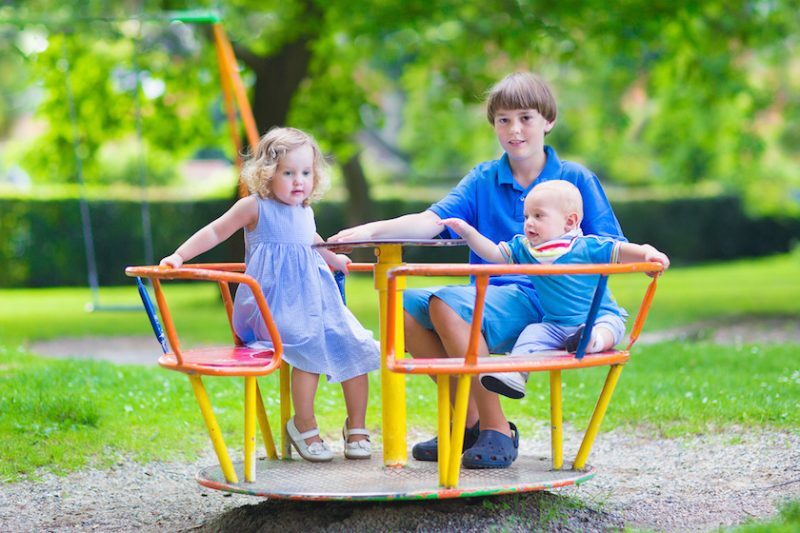 Because seesaw use requires cooperation between kids, they’re generally not recommended for preschoolers unless the seesaw has a spring-centring device to prevent abrupt contact with the ground. Regardless of design, both seesaws and merry-go-rounds should be approached with caution. Seesaw seats are like swings: one child per seat. A child who is too light to seesaw with a partner should find a different partner — not add another child to his or her side of the seesaw. Kids should stand back from a seesaw when it’s in use. They should never stand beneath a raised seesaw, stand and rock in the middle, or try to climb onto it while it’s in motion. Swings are the most frequent source of childhood injuries from moving equipment on a playground. But a few simple precautions can help keep kids safely swinging in the breeze: Kids should always sit in the swing, not stand or kneel. They should hold on tightly with both hands while swinging, and when finished swinging, stop the swing completely before getting off. Care should be taken that the benches do not rust and no nails are out so that no harm is done to anybody. Proper maintenance is required too. This benefits in the long run! Time for outdoor activities in our lives is shrinking as more and more activities indoors are taking up our recreational time. Whether they are entertaining programes on television, chatting online with friends and family or playing video games – all these activities compel us to stay inside our homes. The most affected category is that of the kids, who need time to play outside in parks and playgrounds for both their physical and mental development. Kids need to be weaned away from the electronic equipment indoors and the most effective way of doing that is through the equipment for physical activity that will interest them enough to play outside. Most parks and playgrounds have a few swings, slides and rocking horses designed for the younger kids which offer motion play to the kids. This type of play activities allows the kids to be mobile while playing outdoors. Research shows that children learn valuable motor, emotional, problem-solving and interpersonal skills while playing. The motion play equipment in community or school playground is one way of promoting the learning of these skills in kids. Swinging is one interesting way of motion play which most kids enjoy. It teaches vital skills like balancing while moving, controlling the body while moving away from the ground at high speeds and sensory integration to kids of all ages, but especially younger and autistic kids. Swinging is a safe exercise that can keep a group of kids engaged for hours. Motion play through spinning can add interesting features to the parks and playgrounds. Whether they are manual spinners or automated, they require children to display skills like hand and eye coordination, judgement of speed, maintaining body balance while in movement, etc and the kids learn while playing with their friends. Spinners are ideal for kids because they can expand their energy while learning balance and coordination. Zip lines and Track lines are another example of motion play in parks and playgrounds. Kids can build strength while enjoying the slide from one end of the line to another. They learn to balance and hold while pushing themselves forward with the help of their body weight. Zip lines can keep the kids of various ages engaged while also helping them hone their physical fitness. Seesaws and spring riders are some more examples of motion play where kids learn motor skills while playing. Playing outdoors at parks and playgrounds is a total mind and boy exercise for the kids and all caregivers should encourage this for kids under their care. Getting fit outdoors has never been more fun. Enjoy incorporating the four fundamental elements of fitness with the complete line of ACTIONFIT outdoor fitness equipment. Welcome to our gym. Most dogs are very active animals. Leaving them boxed in an apartment all day can, therefore, be quite problematic as they do not get to expand their natural energy levels. As such they can become quite frustrated and start exhibiting anti-social behavior. 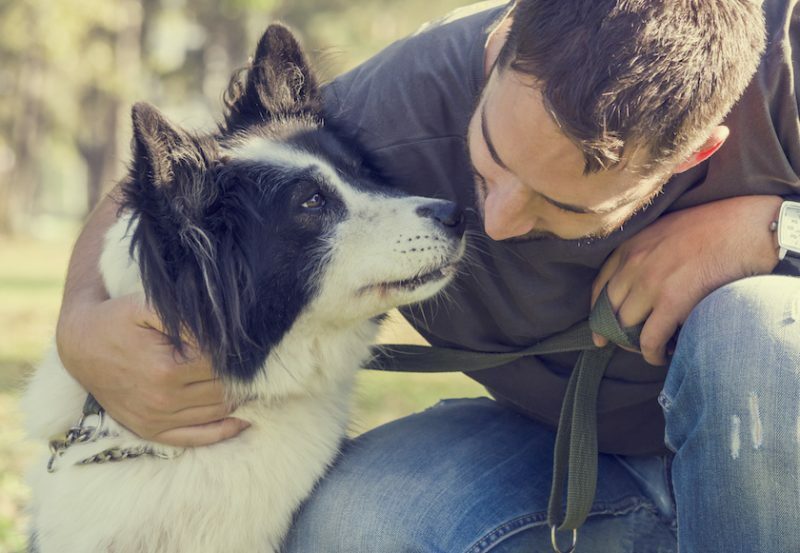 However, a simple visit to the park from time to time is all that is needed when it comes to keeping your dog’s physical and mental health as is required. Just like in human beings, getting some time to play offers great mental exercises for the dog at all times. Let’s look at some tips to ensure that you and your dog have the best time at the park. The park can be a fun or traumatizing place for your dog depending on the experience they get. It is, therefore, important to have a way of evaluating your options and coming up with the best choice for your dog. The first and most important factor to consider when taking your dog out to the park is whether there are separate play areas for puppies and much older dogs. Older dogs can handle your puppy in a rough manner and scar it for life. Since you went to get your dog to conduct a variety of exercises, it is advisable to choose a playground where it can get to play with dogs its own size. This minimizes the risk of confrontation with bigger, stronger dogs. To boost dog health, it is important that your dog conducts different exercises. Simply running around and chasing a Frisbee will not do. Look for a park that offers a wide variety of playground equipment such as a doggie crawl, fire hydrant, dog ramp and many others. This equipment is necessary to help your dog conduct a variety of exercises and hence get more from the exercise sessions. The different types of playground equipment provide dogs with different exercises for maximum learning and fitness. Although dog playgrounds are usually great for dog social activities, it is also worthwhile to note that most owners and trainers are against taking dogs to such parks. This is because the environment is not as controlled as they would like, and the risk of a dog fight or some other unsocial dog behavior is quite high. The best alternative is investing in simple dog playground at home preferable in the yard. In such a case, you can be able to buy more specialized dog playground equipment such as the Bark Park Novice Park for your dog to play around. You can invite friends who also own dogs bring them for dog social activities in a controlled environment. This allows you to pick dogs that you know have great social skills. Molanda Company is your go-to place for the best dog playground equipment. We stock a wide variety of equipment at varying prices so that owners can get the best fit as per their needs. Recumbent bikes like this are installed in outdoor fitness locations for the public to use. This video gives a quick illustration on its use. There is no better option working out at a park than having outdoor fitness equipment that park visitors can use. 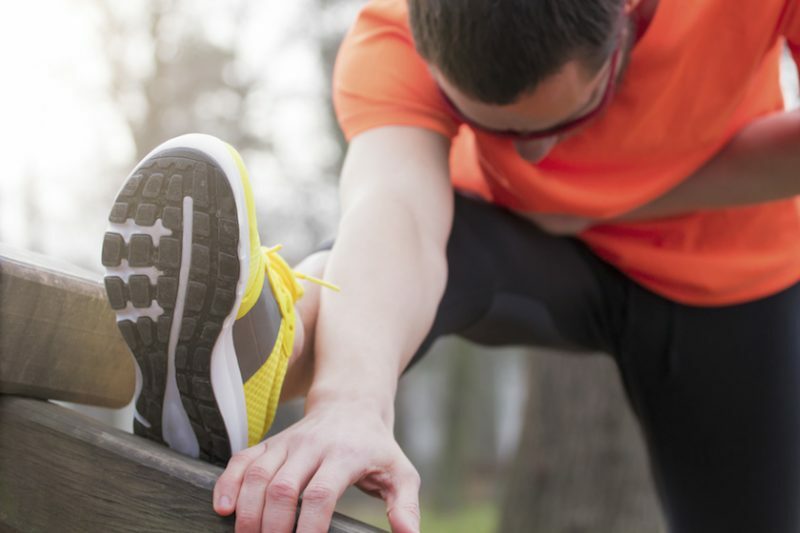 Considering the fresh air and wide spaces, parks can be one of the ideal places for workouts. However, without outdoor fitness equipment such as obstacle course, workout stations, and many others, the place is simply plain boring that cannot attract visitors and park goers. 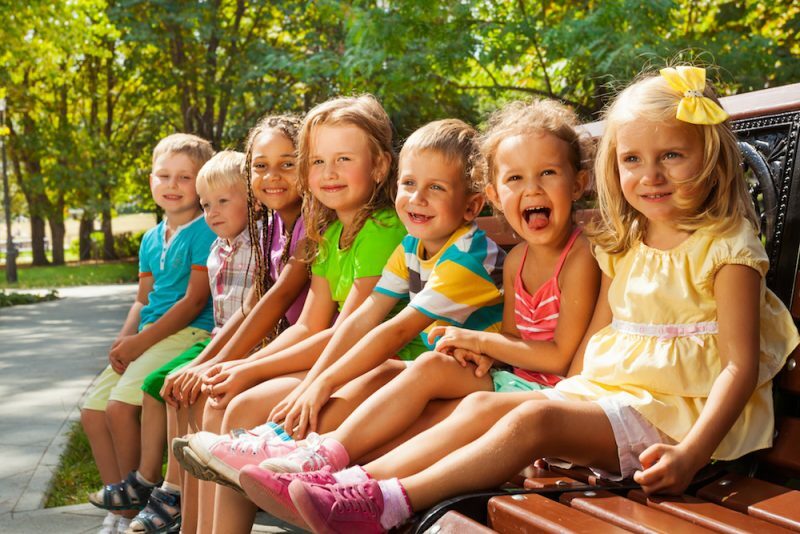 That is why, as a camp head, school or church coordinator, or a daycare center in-charge, it is best that you know how to do when giving your park visitors the best chance of staying healthy while they do their daily workout as their kids also are playing safely and enjoyably within the vicinity. Basically, the first outdoor fitness equipment that you can add to your park is an Ab Station. This equipment is best for park goers who would like to experience an effective reduction of their abdominal fat which when used daily can create great abs results. The Ab station is safe to use and perfect to enjoy a daily workout while having fun sightseeing on the things happening around the park. Outdoor fitness equipment for a great daily workout is an Air Walker. This machine offers a comfortable walking exercise while enjoying the floating-like feeling. A dual abductor station and dual air walker can also be great workout equipment that park goers can enjoy with pairs. Another perfect addition to your park outdoor fitness equipment is a bench dip station. This machine can effectively tone done muscles along the abdominal region while developing the muscular areas on both arms. After an hour of workout, a bench dip station can also be a great bench alternative that park goers can sit upon while taking a quality rest. If you wish to equip your park with high-end outdoor fitness equipment, a cardio walker will be a great choice. If it’s within your budget, you can also include double chest press, double lat pull down, double leg press, double strider, double vertical press, and hip flexor. For women who seek simple workout equipment, you can also install simple outdoor fitness equipment on your park such as a balance beam, a hurdle station, knee-lift station, parallel bar station, and many others. This simple equipment outdoors is also perfect for kids to enjoy great workout routines while also enjoying fun games with other kids. With this outdoor fitness equipment, your park whether in school or at the church can be transformed into a great fitness center that park goers can look forward to. So what are you waiting for? Bring more life and color to your park with the best quality outdoor equipment available at Molanda Company. Recumbent bike exercise machines like this one also operate in reverse to provide different areas of focus in your fitness routine. According to a recent report, playgrounds are very important in the development of a child’s emotional, cognitive, social, and physical development. 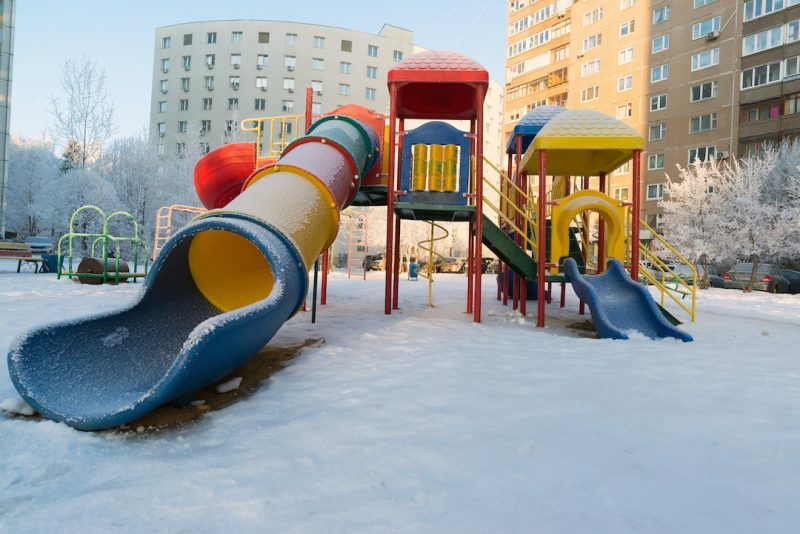 In order to allow children enjoy and be developed at the same time, it is highly recommended to purchase a slide that meets playground standards. Generally speaking, slides are perfect for children regardless of their age. As a matter of fact, even 10-year-old children still love this feature in a playground. A slide is unquestionably one of the most popular features in a playground. They are generally made of metal, fiberglass, plastic as well as composite materials. However, if you are planning to purchase a slide for your playground, it is very important to select slides that are made of safe materials. Playground slides also come in various sizes, shapes and colors. When talking about the structure, a slide is generally a smooth slope that has a ladder on one edge and a soft landing space on the other. So as to prevent kids from falling over, you may want to choose a slide that has slightly folded sides. You may also find more complicated options in the market. There are some with spiral or wavy shape. If you are interested in having unique slides for your playground, you may want to consider getting customized options for your theme. According to a report, almost one in every three kids in the United States alone suffers from obesity, and other weight-related disorders. In order to make your children healthy and fit, it is very important to have a regular exercise. 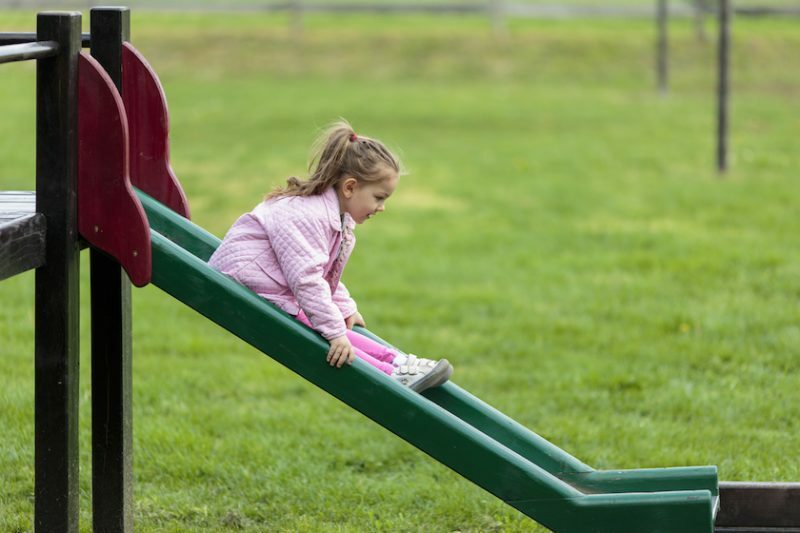 While it is quite hard to implement the type of exercise that adults do, allowing them to play with slides is one good way to encourage them to move. A slide that is installed according to playground standards can encourage body movements to children. They provide climbing exercises which is good for the legs. Some designs also come with bars which can help in strengthening the shoulders and arms. 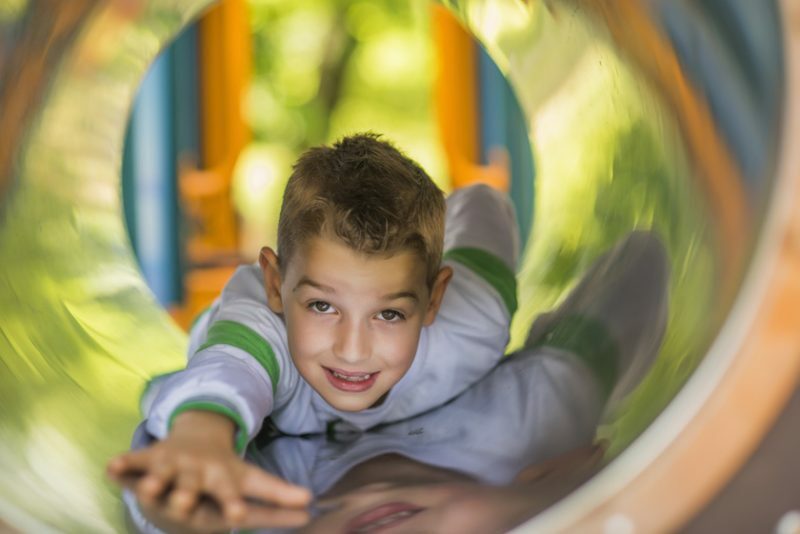 By encouraging children to climb and slide, they can also develop their brains further. Physical exercise is known to release endorphins which can make them feel happy and positive. Playground slides also help in keeping a healthy regime, as well as a positive attitude which is important in the lives of the children. In line with this, it is very important to make sure of the proper installation of a slide. After all, while enjoyment and exercise is very important among children, safety and security should still be given utmost priority. With this, it is vital to use only commercial grade slides as they come with high-quality materials. When kids play outside on a jungle gym or seesaw, they become more active and gain the physical benefits related to working out regularly. It is true that kids nowadays would rather spend time indoors playing their video games, rather than playing with other kids outdoors. This has led to increased case of obesity and other weight related issues. However, when you engage your kids outdoors with swing sets and merry-go-rounds, you basically help them exercise their bodies, improve coordination and build muscles. When kids are too fat due to inactivity and leading a sedentary lifestyle, it is likely that they may not feel as good about their bodies. This will lead to low self-esteem issues, with some be so stressed out that they may even contemplate suicide, particularly if you also add the fact that most of these kids are usually laughed at in school and other social settings. One way of preventing all these is through the mental benefits of outdoor playing. Whether it is a seesaw or jungle gym, giving your kids the chance to have fun and play improves their self-confidence, and they will have an even brighter outlook about life. Outdoor play on swing sets and merry-go-rounds, it is the ultimate tool to provide social benefits. It is essentially an illustration of all kinds of social interaction with other people. This will not only improve the health of your kids, but it also ensures that they get a proper foundation in how they should interact with other kids. Playing in the jungle gym or seesaw with various kids can really achieve a long with regards to healthy social development, reducing shyness and helping kids make new friends. 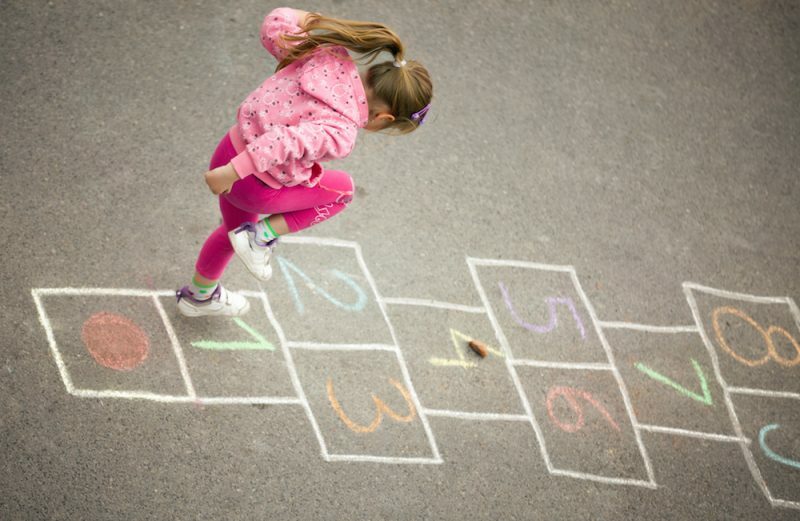 Keeping scores as your kids play can also have some health benefits of improving numeracy skills and enhancing literacy. Recognizing the value of numbers while playing outdoors has the mental benefits of encouraging essential skills development. Outdoor activities act like interesting educational tools that teach kids about important life skills and the importance of having good relationships with others. Chest Press users can remain seated in their mobility device or sit on the ergonomically designed saddle and push the non-slip handles outward. Isokinetic springs activate to provide smooth resistance and workout targeted strength training zones. It’s not only about fun and games when purchasing playground equipment especially for children. You have to consider a lot of things including the safety level, the quality equipment standard, proper design, credibility and reputation of the retailer, and many other important things that you should never forget. 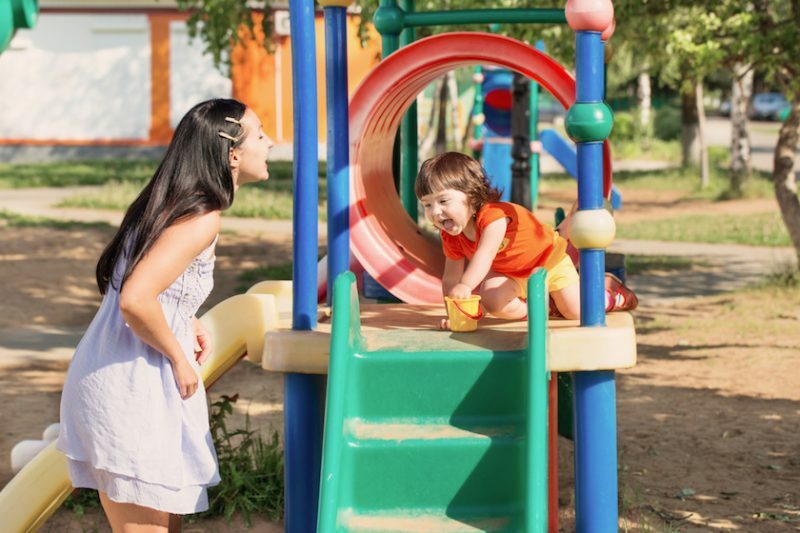 Moreover, kid’s playground equipment has to be age appropriate and ADA compliant to ensure your child’s maximum safety while enjoying a fun play with other kids in the playground. Before you are to spend your money for children equipment, you have to ensure that the considerations mentioned above are met. Basically, the first consideration when purchasing playground equipment is the safety level of the equipment facility to be installed in the recreational area. As a playground coordinator or school head, or any other person in authority, the safety of the kids should be the top priority among others. Hence, it pays if you have some knowledge as to what qualify equipment that passes the safety standards. Equipment safety attributes are directly related to the second consideration which is having quality equipment. In all cases, quality equipment is always a lot safer to use than those equipment that are haphazardly created. That is why; you should always buy playground equipment only from a trusted playground equipment provider just like Molanda Company. This is to ensure that you get your playground installations at the best quality possible. Another consideration to make when buying your kid’s recreational equipment is the credibility and reputation of the retailer. Playground equipment providers with great reputation like Molanda Company only sell the best quality equipment. Hence, it is best if you read through the company’s testimonials and browse some online reviews generated by real customers. That way, you can use their verdict on your own decision whether to buy or not. In addition, when choosing a playground facility, you have to see to it that the equipment is age appropriate so that kid’s safety will not be jeopardized. The equipment should also be ADA compliant in such a way that special needs such as wheelchair usage are properly addressed. Hence, proper design of the equipment should also be taken into consideration. Lastly, one thing to be in mind when purchasing kid’s recreational equipment is your budget requirements. Each company has its own pricing and rates. That being said, it is best that you pick the one that offers quality equipment at a very affordable rate. You can breathe easily in this regard with the presence of Molanda Company whose playground equipment is surely within your price range. In conclusion, choosing playground equipment can be difficult and time-consuming with the many things needed to be considered. But with proper knowledge and application of the points highlighted above, being able to choose the best quality equipment can be so rewarding. A swing set is a great addition to any environment as they allow kids to have fun and remain active. 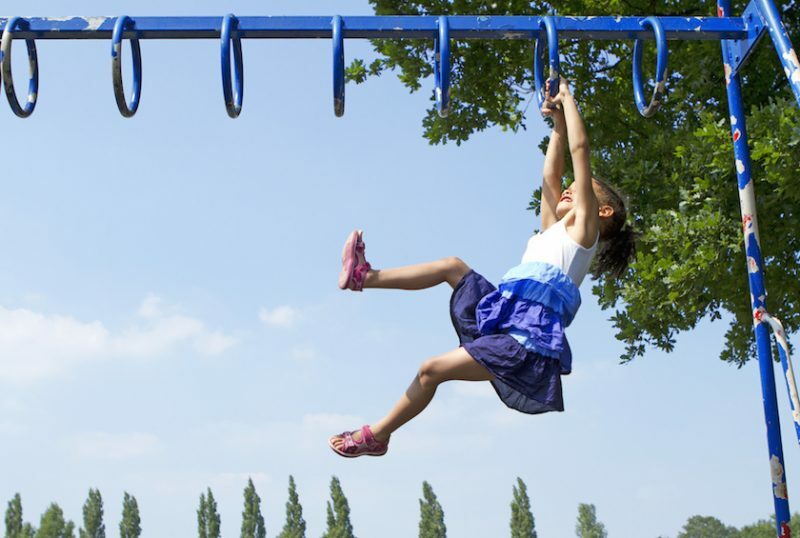 As kids use the swings and play on the slides, they perform both anaerobic and aerobic exercises, thus reducing the danger of diabetes and childhood obesity. There is a variety of swing set options to choose from if you are interested in getting one, but important considerations must be made first before making the purchase. The first consideration you have to make when searching for swings is whether you have enough funds to do a proper installation. Ensure you follow all the instructions to the letter, and if you it is a commercial grade installation, you may need to ask for technicians to assist you in setting up the swing set. If you have some technicians erecting the structure on your behalf, confirm that they have the necessary tools and experience in dealing with such kinds of jobs to ensure that the final product adheres to high playground standards. The next step is to set aside appropriate space for proper installation of the swings. Check the area of installation for various potential hazards such as shrubs, trees, tables, and walls. Ideally, you should aim for 6ft of free space surrounding your swing set by removing all tree stumps that may pose a potential tripping hazard. This open space distance will create a buffer area for kids to safely enjoy using the equipment. It also reduces the danger of injuries that kids may face if they fall of or trip while playing. In addition, this calculation also determines if the area can easily accommodate extra equipment. The other important consideration when installing commercial grade swings is what weight they can safely support. For instance, wood swings are great for young kids but cannot accommodate the older kids as well as adults. Thus, metal swing set that has been professionally installed is the best choice for people who want children to play and fully utilize the equipment. 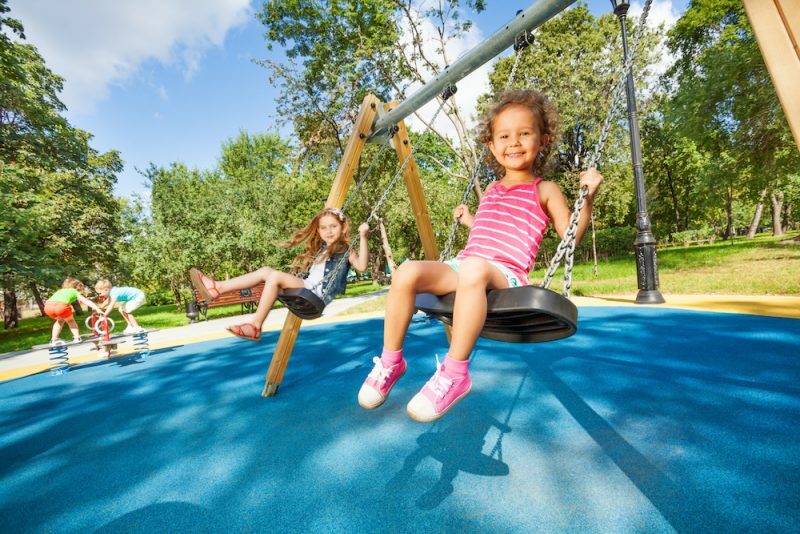 In addition, metal swings meet most of the playground standards as they are usually secured using concrete foundations and can easily accommodate a high weight limit, which means nearly anyone can enjoy using the equipment. Asides from the above major considerations, when using a commercial grade swing set, newer equipment offer much more than just simple swings. Nowadays, a play set can even include forts, seesaws, walls, climbing pole and other additional features. However, proper installation of these models is necessary to guarantee that kids are having fun in a safe environment. You need to also include the preferences of your kids when making the final decision of which swings you will buy from Molanda Company. The Cardio Walker offers aerobic fitness and cardio benefits through a smooth striding gazelle or elliptical like motion similar to walking or jogging. Users can easily modify the intensity of their cardio aerobic exercise by extending or shortening their stride. The playground is a place where children can play and learn about each other. It is an area where they can be kids. A high quality playground should be designed according to ADA standards so that it is universally accessible to everyone. That’s why careful planning is important to achieve the standards. Below are some tips that will help you in designing the perfect playground. Setting a budget is important when designing a playground. The price should be reasonable enough so that you can afford high quality products. When creating a budget, you should consider the age of the children who will be using the playground. Keep in mind that there should be separate areas for kids ages six to 23 months, two to five-year-olds, and school age kids. You should also consider the number of kids who will use the facility at the same time. This will help you determine the number of swing sets and climbers you need, as well as the playground size. You should also check the ADA standards to ensure that your playground caters to the special needs of children with disabilities. The play area must be accessible to everyone. Another factor that affects the budget is the type of activities you want to incorporate into the playground. 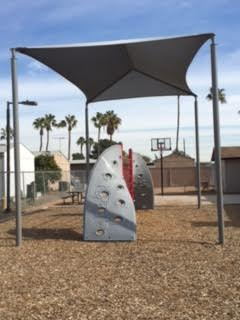 These include the kind of equipment that will be installed in it, such as climbers, slides, and swing sets. 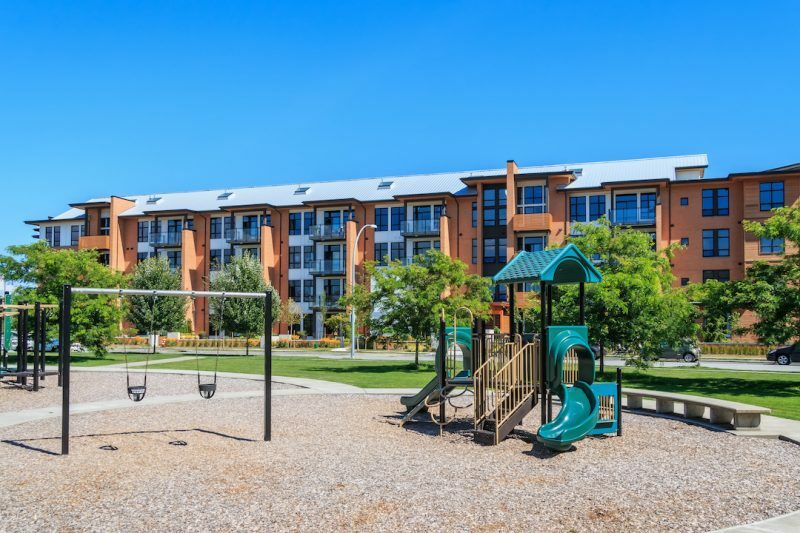 You also need to consider the amenities you are going to offer, such as picnic tables, restroom facilities, bike racks, litter receptacles, and more. The budget must have expenses such as site preparation, equipment, storage, shipping, installation, and playground surfacing. In order to save on the costs, you can find volunteers to help prepare the site. You can also ask local companies to donate materials and/or services for the construction of the playground. All work and no play makes Jack a dull boy, is an old saying, which expresses the importance of child’s play. As temperatures rise through spring, your children will want to spend more and more of their time outdoors playing. It is important to make sure that you do not hinder your child’s development by denying them the opportunity to play. Playtime allows children to exercise physically as well as learn important lessons to develop their minds. With this in mind, it is important to note that by buying the most appropriate playing equipment, your children will be happy and excited to take part in regular playing sessions. Below we will look at some of the important factors to consider when shopping for the best playground slides. Cost is always an influencing factor when it comes to buying playground equipment, and, in this case, slides. To make sure that you do not overspend take some time to look at different playground equipment sellers. This will give you an idea of the average price for slides. It is important to note that cheap is not always the way to go especially when it comes to playground equipment to be used by young children. Consider buying more expensive options so as to have the highest quality for the safest experience. Playground slides come in a wide variety of designs each with its own appeal. The available variety of shapes includes simple shapes for easier and simpler use, to curved and spiral slide designs for added fun. These shapes come in different sizes, and it is advisable to take time to examine whether the space available will suffice. Appearance plays a big role in how much children like an object. Children are attracted to colors and getting their favorite color makes them appreciate the slide even more. This also explains why there is a wide variety of all slide shapes and designs in different colors. Whatever your child’s favorite color you will be able to find a slide, which corresponds to the same. 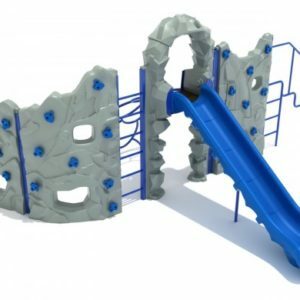 If you are buying a slide to add to an existing playground set, it is recommended that you buy one, which adds color and versatility to the available selection. Slides are traditionally made from metal or hard plastic. Although there are other materials used to build slides, these are the most common. They are usually durable and stand up to the elements well when used in outdoor playgrounds. Playground slides also come in different sizes. Buyers can choose the best size depending on the available space where the slide is to be installed. Size is also important when it comes to the average age of the users. The larger the slide, the older the users should be. “All work and no play will make Jack a dull boy.” The quote is often used by a lot of people to refer to the importance of playing to children. Playing enhances the kid’s mind. It promotes physical activities, and it facilitates learning. These are the reasons why a lot of communities, day care centers, schools and churches started putting playground on their vicinities. Though, despite that these play areas are open to every child, many of them are not handicap accessible. According to a 2010 census, out of the 53.9 million children aging five to 17, about 2.8 millions were reported to have disability. These numbers include children with hearing disabilities, vision difficulties, ambulatory difficulties, and self-care difficulties. Most often than not, these children are denied to access of many play equipment available in their communities. That is the reason why the U.S. Access Board has developed the accessibility guidelines in the American Disability Act (ADA). The guidelines seek freedom for children with disabilities to play and interact with other children. The guidelines gave the idea of putting ramps and ADA play equipment in playgrounds to give handicap children access to different playground facilities. Why is handicap accessible or ADA play equipment important? Promote equality: Despite disabilities, all PWD wants to live normally and do things able persons do. Handicap accessible play equipment enables children with disability to access what other kids enjoy. It normalizes their development and growth despite impairment. Promote social interaction: Usually, disabled children had inclusive playground where they interact with other children with disabilities like them. It can be beneficial as well if you try to bring them in an accessible play area where they can interact with able person. The interaction facilitates social growth and development. Develop positive outlook: Handicap accessible play equipment changes the psychology of the children with imparity. Normally, children with disability grow shy and inferior. They always see their impairment as a hindrance to personal growth. It is important that while they are still young, you instill in their mind that they are gifted, but they can do what able children can do. Letting them play in an accessible playground with other children can be a good foundation. It does not only give enjoyment to them but also aids in the development of positivity and self-confidence. Develop child’s fitness: Handicap accessible equipment can aid in the therapy of some children with disability. It will allow them to move, use their mind and socialize. Play equipment can enhance their different skills and assists learning something new. Handicap accessible play equipment under ADA guidelines is very beneficial to the development of children with disabilities. In constructing playground in your community, always consider these gifted kids by putting ramps in the play area. Adding other play equipment especially designed for the handicap is a brilliant idea as well. Make playgrounds accessible to all so there will be no left out—handicapped or not! A human being will never develop more rapidly than between the age of 0 and 7. That is the time when a child acquires numerous skills, like hand-eye coordination, creative expression, problem-solving and many more. Having the right equipment is crucial if you want to maximize the development process in children. Luckily, we offer just the right range of preschool outdoor play equipment so that children can be physically active, have fun, and also develop motor and cognitive skills. Not so long ago, preschool outdoor play was considered to be secondary compared to the traditional way of acquiring knowledge, like attending school. It was thought that play only served the purpose of physical skills development through exercise and play (Frost & Wortham, 1988). However, it was overlooked that merry go rounds for instance also encourage social activity, meaning that children not only develop their physical motor skills, but also learn how to interact with other children in an appropriate way. Choosing the right equipment for a playground even goes so far as to stimulate dramatic play – a crucial segment of a child’s character (Shin & Frost, 1995). So what can you, as a purchaser of playground equipment, do to gain the best value for money when creating a playground? 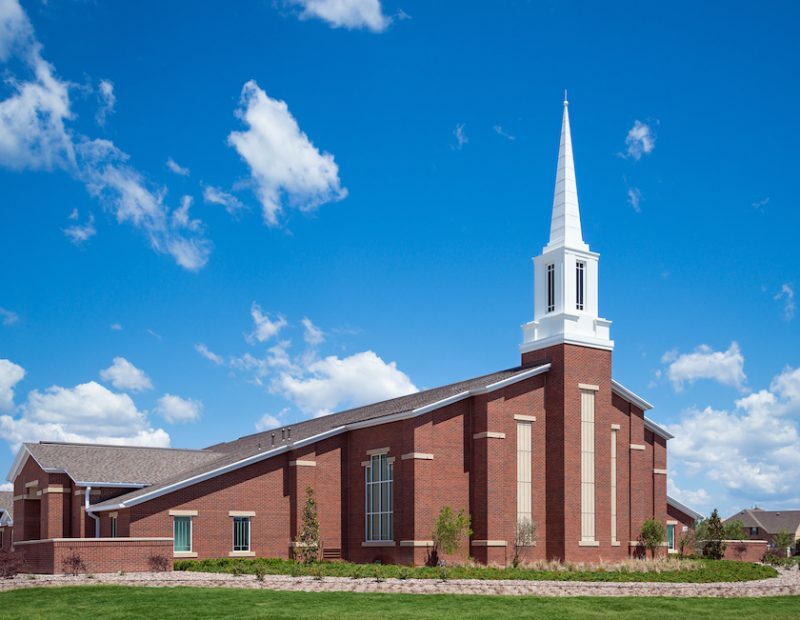 You will be pleased to know that it does not matter whether you are equipping a city park, a church yard, a day care center or an apartment complex. You are at the right place because we have just what you need to create a useful, yet very fun playground. During the 90s, many reports indicated that playgrounds can be dangerous, in addition to being marginalized. Soon thereafter, designers around the world began to come up with revolutionary preschool outdoor play equipment for children that were safer and cognitively more challenging for children, in addition to being modernized and adapted to tickle every child’s imagination. We have been incorporating old and new ideas and have come up with a collection of imaginative, innovative and fun equipment, which plays a pivotal role in children’s cognitive development. There is a wide array of equipment to choose from with the most popular being swing sets, slides, and spring riders. Our experts will answer any questions you may have if you have never bought outdoor play equipment for children. There is a wide range of items to consider, but you will get all the help you need in creating a perfect playground for children to explore for hours. All in all, you have come to a world of diverse, intelligent and playfully designed playground equipment that suits every child’s needs. If there is one thing undeniable in today’s time, it would be the fact that technology has overtaken our lives in ways more than one. It is very easy to just spend the whole day indoors, lying on the couch, and enjoying innovative gadgets introduced year after year. With the internet, for instance, people can just sit all day and play online games or get connected with their social media accounts. With the television, you can spend the entire day watching your favorite shows and eat junk foods. There is very limited physical activity, which is risky for one’s health, especially as it triggers obesity. With this, it is important to make sure to still spend time outside of the house, being engaged in activities that are not only fun, but also good for your health. In most cases, many people, especially children, decide to just stay indoors because they do not have friends. Watching television or playing video games become a more attractive option because they can be done even on one’s own. To keep the fun in physical activity, one thing that will surely be helpful is to invite more people and make it a group activity. In this way, the activity is not just going to be more physical, but also more social. As we all know, doing anything in a group is always better than doing it alone. No matter how fun one physical activity can prove to be, there will come a point you will realize you had too much of it and eventually, will lead into boredom. To keep it fun, it is paramount to discover something new every time. Visit a new park or try a different sport every weekend, if possible. For parents, this is very important as kids can easily lose interest in any activity if they have been doing it repeatedly, or if the activity is simply not interesting at all. If there is variety, there will always be something new for them to do, and they can keep on discovering what they like best amongst the activities they have already tried. 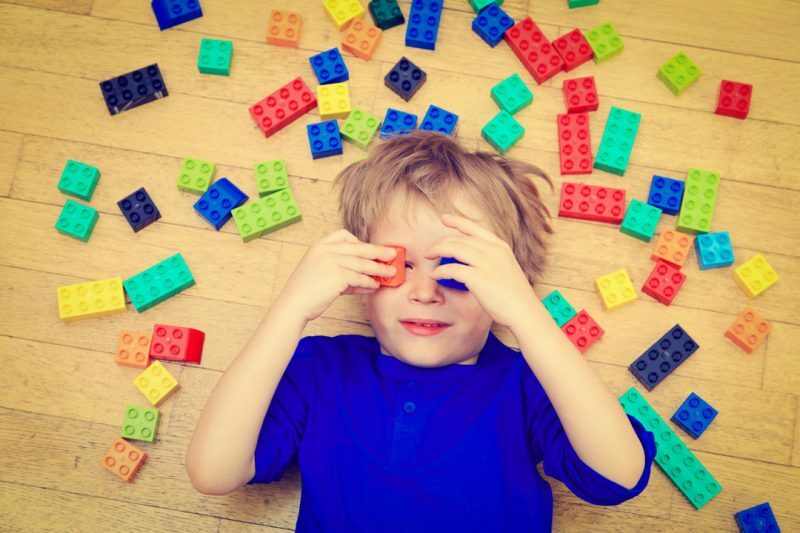 Children develop their minds and muscles during play. It is recommended that you afford your children a lot of play time and access to playing materials and equipment so as to help them make the most of this playtime. Buying a swing set is one of the common ideas that parents stick to in this regard. Buying a swing set may seem like an easy task but in most cases, it is anything but given the variety of shapes/sizes/colors available. Parents have to make multiple considerations in order to ensure that they buy the most suitable design by adhering to some guiding factors. Below we will look at the factors to consider when buying a swing set. The first and most important factor, to consider before deciding to buy a swing set, is your child’s preference. Take your time to carefully evaluate your child’s activities at the playground to take stock of their preferred play areas. 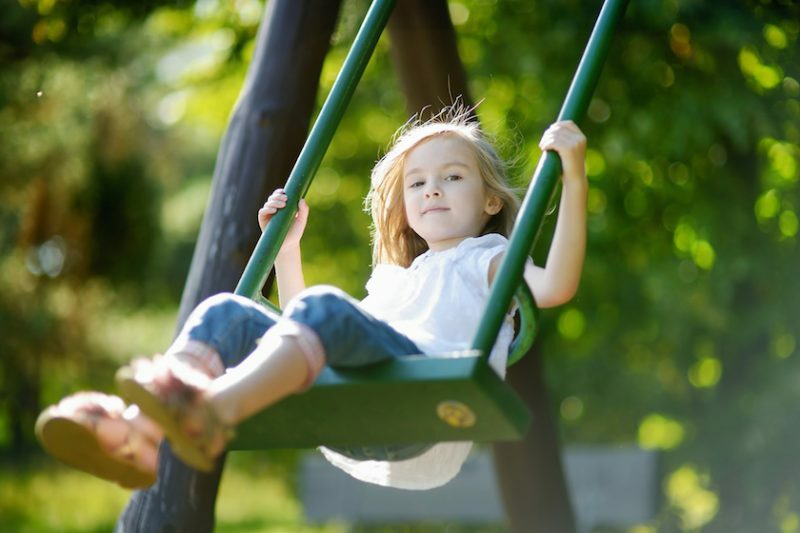 If your child spends a lot of their time on the playground’s swing set then buying a swing set is the right move and is bound to be highly appreciated by the child. On the other hand, if they spend their time with other playground equipment consider changing your decision. Now that you have made the decision to purchase a swing set, you have even more factors to consider in buying the right set. Swing sets come in a variety of shapes/sizes/colors, enough to make you get dizzy. However, you can follow some guiding principles to identify the right one. You can ask your child their favorite color and use this to choose the best color. When it comes to selecting one option from the variety of shapes/sizes/colors available, it is important to consider the age of your children and how long you wish to have the swing set for. Younger children including toddlers do not need large swing sets, however if you intend to keep the swing set until your children grow up then a bigger set will stand up to use by growing children. While picking out the perfect sized swing set make sure that you remember to factor in the size of your yard as well. Swing sets are made of different materials wood, steel and vinyl covered wood are the most common example here. Wood may have aesthetic appeal, but the fact that it stands up poorly to external weather effects and has splinters gives it a poor safety score. Steel is a robust material that can last over a long period of time as well as vinyl covered wood which tends to be the most expensive of the three. Another factor, to consider when buying a swing set, is the comfort features available, especially for children. Special needs children may require additional comfort and safety features such as harnesses. Know How to Choose the Most Appropriate Public Park Equipment for Kids: Evaluating Quality Benches, Tables and More! Public parks provide an avenue for children for exercise and adults to spend their leisure time. 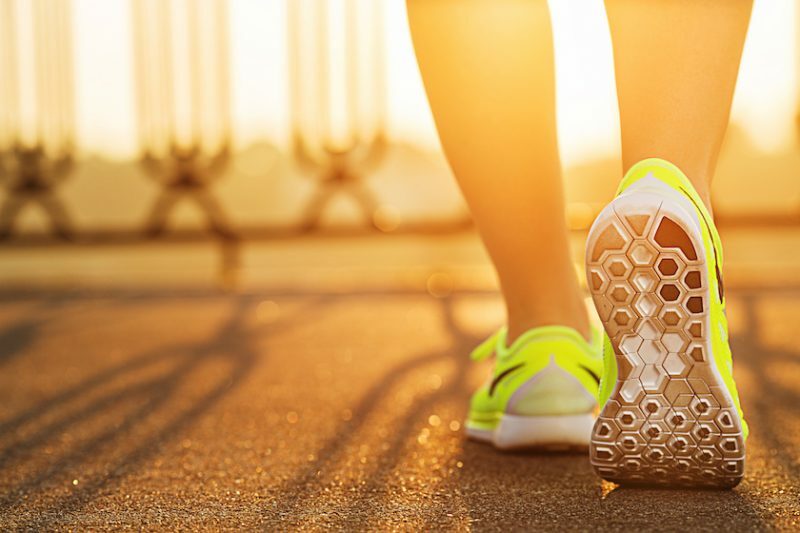 Because of the influence of modern day computers, smartphones, and iPads, active physical activity became not so much of an influence to today’s youth and this can tremendously affect their social, societal interpersonal and physical growth. Public parks are an essential opportunity for children and adults to interact to others and build trusting friendly relationships. Despite this wonderful benefits public parks provide, it cannot be denied that safety might be a concern. Around 80,000 safety issues, were reported annually because of public parks injuries as a result of faulty equipment. These incidents warrant attention. 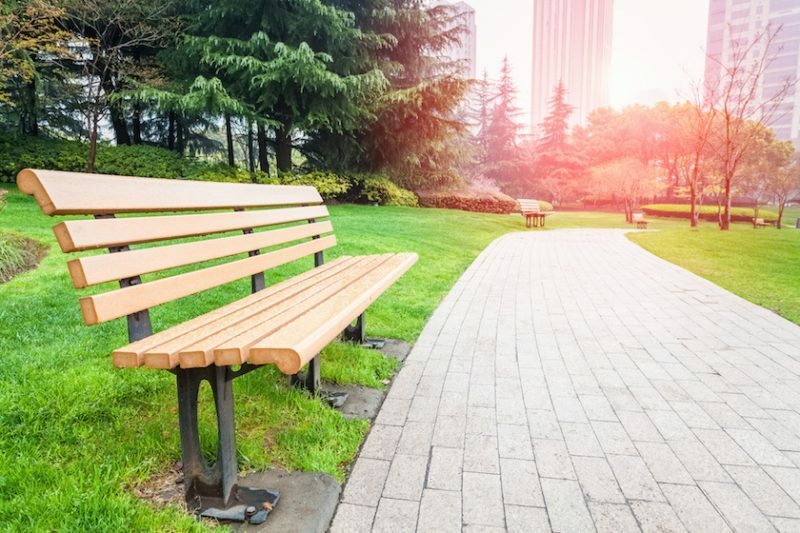 Here is a complete guide on how to choose the right public park equipment from tables and benches for children and adults. Whether it is for a public park or playground, it is an utmost priority to consider the safety of the children. Because of this, the CPSC developed standardized guidelines for public park safety. These include the age of the children that should be allowed to play in the park and general consideration for choosing public park equipment such as umbrellas and benches. One factor that needs to be considered is the age. You should accurately determine the age range that the particular equipment includes. It is of worthy consideration to think about children who have physical disabilities that would also want to develop interpersonal and physical skills through play. The park equipment that should be chosen can be generally used by kids and those with disabilities, not to mention adults who would also want to spend their relaxing time in it. It is smart to add different styles of benches and tables with varied levels of comfort. An example of an age-appropriate equipment are climbing equipment, ramps, single file step ladder, spring rockers, stairways and swings for toddlers or kids who are six to 32 months of age. 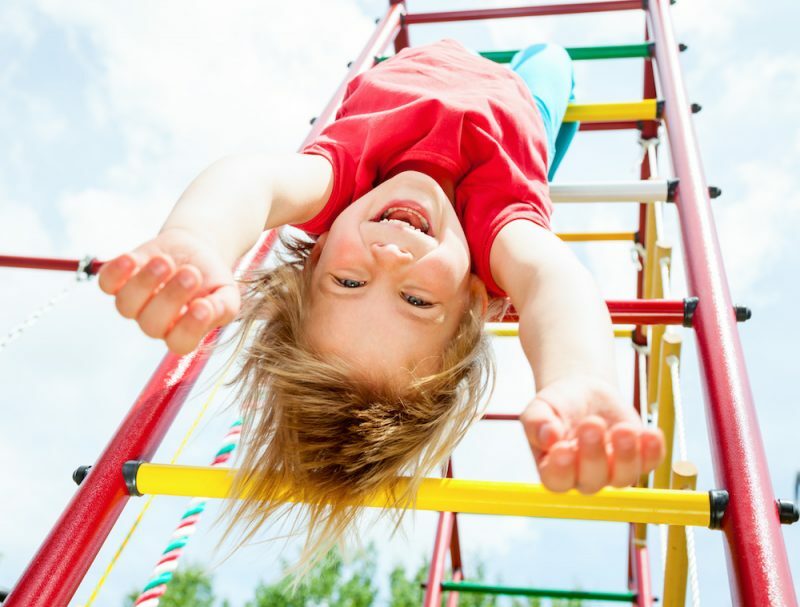 Preschoolers or those who are two to five years of age are safe with horizontal ladders, merry-go-rounds, rung ladders, ramps, spiral slides of 360 degrees and swings. Grade-schoolers or those who are five to 12 years old are good with arch climbers, chain or cable walks, fulcrum seesaw, ladder, overhead rings, ring treks, slides, and vertical sliding poles. Grills should be added to prevent children from going beyond the public park and into the street. This is a number one factor that influences the incidents of playground injuries. The majority of emergencies as a result of playground injuries are falls. The height of the equipment should be reasonably safe for children. For example, climbing equipment for a toddler ages six to 23 months should be at the height of 32 inches high. The dealer for playground equipment that you will eventually choose should provide you with complete information regarding the age-appropriate height of the equipment. Tables and Benches should not be more than 40 inches for toddlers. Molanda Company provides the best service as a dealer of quality and safe public park equipment such as tables, chairs, benches, umbrellas and grills. They also provide safe playground equipment for kids such as swings, slides and merry-go-round. Come and visit Molanda Company or call them today at 217-855-5477. As the experts put it, a playground should be a hub for kids to enhance their social, physical and emotional skills. Having an open playground in schools, in parks or in the community will help kids interact and with other kids building social connection. They also note that playground facilities develop children’s flexibility and motor skills. Thus, choosing quality playground equipment is a must. Value of fun and learning: A playground is a fun and enjoyable place. And, the more equipment it has, the more fun it will be for kids. You can have see saws, slides, climbers, swings, play houses and obstacle courses scattered around the place for the kids to enjoy. Colors enhance the fun environment in a playground too. So choose equipments with colorful designs to create a festive mood that kids will like. Playground equipments should not only be fun. They should also be able to provide and facilitate learning and progress to kids. So make sure that each piece of equipment contributes to the development of the motor and mental skills of your child. Durability: In choosing playground equipments, make sure that they will last long so you won’t have to buy new ones year after year. Consider the materials used for the equipment. There are playground equipments made of wood, metal, aluminum and plastic. Each has their own pros and cons. Materials made of Wood are strong but may rot through time especially if the equipments are exposed to drastic weather changes. Metal and aluminum are stronger but may corrode and rust. Plastic are lighter and cheap, but it may fail to support heavier children. Be careful in looking on the specifications of the equipments you buy for your playground. Choose only equipments made of high-grade materials to ensure quality and durability. Safety: Safety is the most important consideration when choosing equipments. While you cannot foresee playground accidents, prevent them by making sure that the equipments are safe to use. Examine the equipments first before buying. If they are pre-made, check the corners and edges as well as the joints to see if they are sturdy enough. For see saws, check sockets and bolts and make sure they are intact. For climbers, check each bar if they are well-attached to their support. For swings, make sure that the ropes or chains are strong enough to support weight. 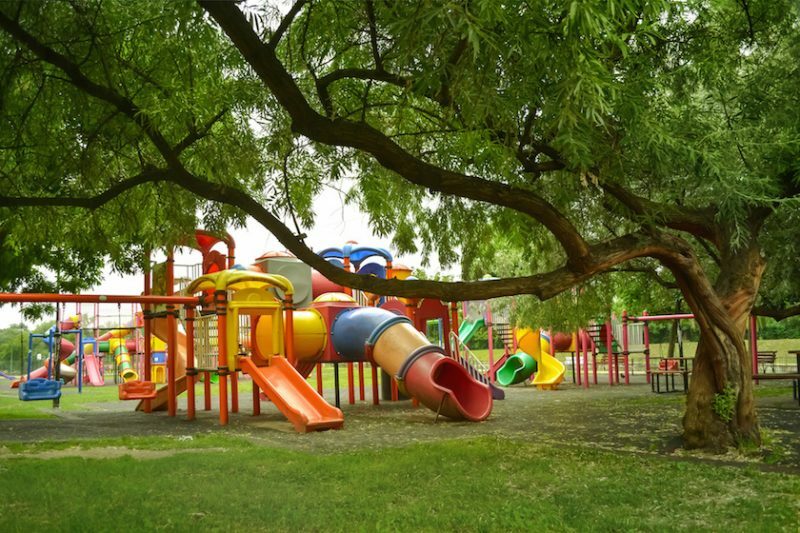 You should always be keen and meticulous in choosing the right equipment for your playground. 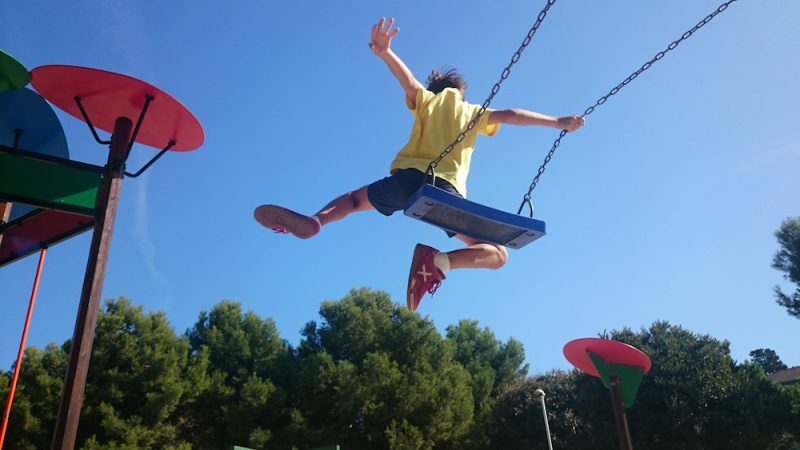 Make Think about these three important considerations when you buy see saws, slides and other playground equipments for a safe and long lasting fun and enjoyment! Fun and games form one of the most important learning activities for children. Children need to exercise their minds and muscles in order to develop as required. Outdoor playgrounds have been the main area of play for children, but the development of indoor games and playing equipment has worked to offer a viable alternative. Indoor playing equipment is weather free meaning that children can continue playing even in bad weather. It is also important to note that indoor playing equipment is safer for kids as their parents can watch as they play eliminating some of the risks associated with crowded outdoor playing grounds. Below we will look at some of the factors to consider when shopping for indoor playing equipment. First and foremost, it is important to note that the most restrictive factor, when it comes to buying indoor playing equipment, is the budget. There are many outdoor playing equipment companies that market a wide array of playing equipment at various price ranges. From board games to expansive slides and even swing sets, the variety is endless. Buyers should first come up with a budget so as to have an idea of what they can afford and what is out of their price range. It goes without saying that indoor playing equipment requires indoor space for installation. The space requirements vary depending on the chosen equipment. It is important to have specific details relating to the space available including ceiling height and floor dimensions when you are going shopping to make sure that you do not buy equipment that is too large for your home. It is recommended that you use a tape measure to take accurate measurements of the available space. All playing equipment should adhere to high safety standards. Remember that you are buying playing equipment for your child and would not want to buy anything that can harm them. Buying cheap equipment is not always the best decision as the quality of the equipment might be questionable and hence compromising its safety. Be sure to enquire and research about the safety of all the indoor playing equipment you want to buy. When buying indoor playing equipment such as slides and swing sets make sure you enquire about the maintenance needs of the same. It is important to note that ignoring to keep all the equipment well maintained will affect their effectiveness, quality and resultantly safety. All maintenance requirements should be adhered to strictly without fail or delay. It is also important to note that maintenance needs increase the outlay on such equipment in the long run. Parents should follow the above-described guide in sourcing the most appropriate and useful indoor playing equipment to ensure that their kids get to develop as is necessary. 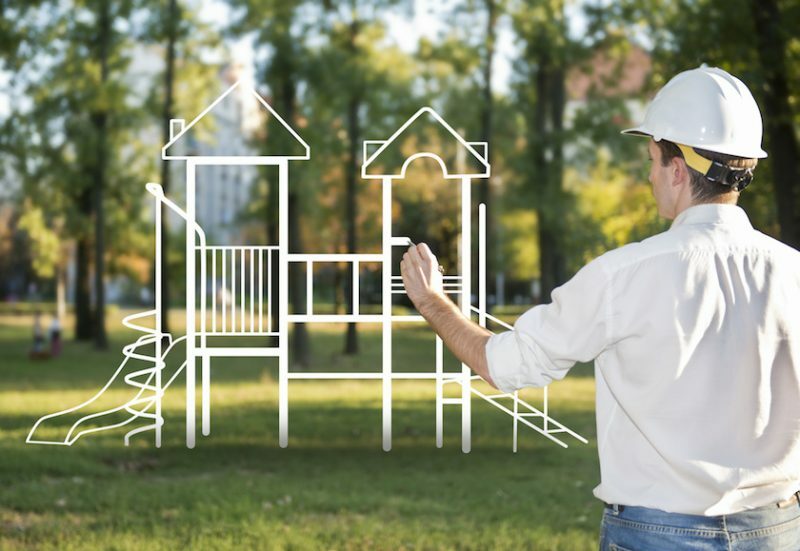 Building playgrounds for kids is an exciting way to give the youngsters a place to enjoy and play. Playgrounds enhance not only the services but also the value of parks, communities, and schools. Area: Basically, the first thing, to look for when building playgrounds, is the area where it will be built. It can be in parks, in daycare centers or a vacant lot in a small community. Survey the area for its size and condition. Identifying and examining the area give you the idea on how many facilities you can put into it and how many children it can accommodate. Think of possible ways to develop it. Will you grow grass on it or leave it as it is? Take note that the bigger the area, the more equipment and facilities you can put into it. And more facilities mean more fun not only for kids but for adults as well. Facilities: Playgrounds should have great equipment and facilities to make it more exciting. 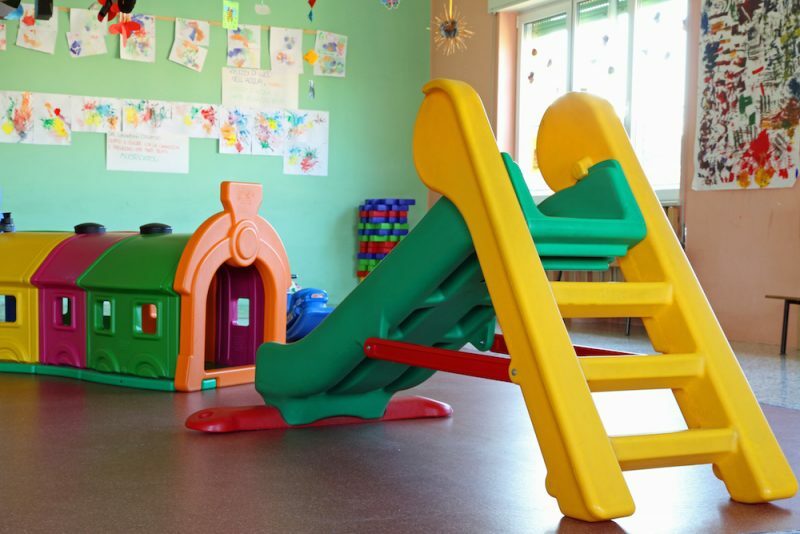 When choosing the facilities, it is important to consider the value of fun and learning they can give to kids. 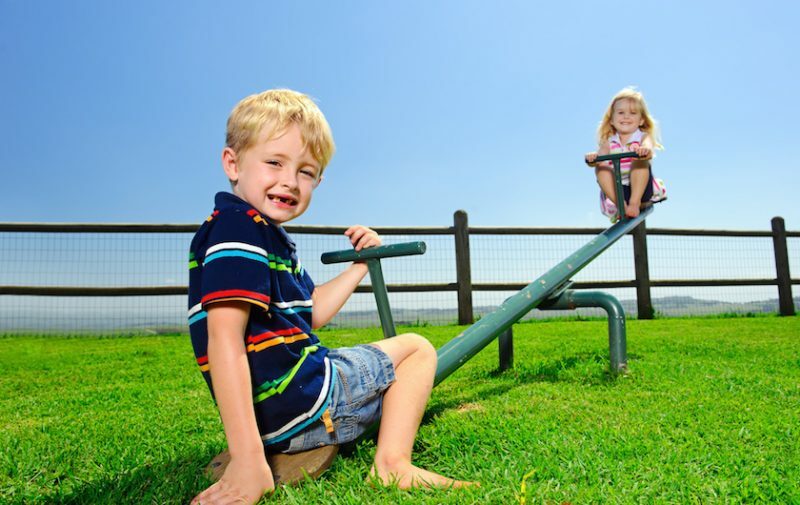 You can put seesaws, slides and obstacle courses in your playground for kids to enjoy. These equipments contribute to the development of children’s motor skills. You can also add some learning facilities like tables with chess and checker boards drawn on it or huge ABC blocks and play houses to enhance the children’s mental and social skills. Playgrounds should also have benches for adults to sit on while watching their kids playing. Design: Utilize the space well when designing the playground. Be sure to organize playground facilities in a manner that they do not block one another. The design should be methodical. It should also promote safety. Safety: Playgrounds should not just be fun. They should also be safe. As always, safety should be a top consideration when building playgrounds. Kids are very energetic and playful so they will do a lot of running and climbing. Make sure that the floor is well-kept and not slippery. Also, make sure that the equipments are intact and are properly installed in their appropriate places. Once built, make sure that the playground will have constant maintenance to ensure safety. Cost: How much is your budget? You should have a budget plan on the amount you will spend in building playgrounds. It will always help you keep track of the financial aspect of the project. To save more, find a supplier that can offer you good deals for the materials and facilities to be used. There are a lot of them whom you can contact and make a deal with. 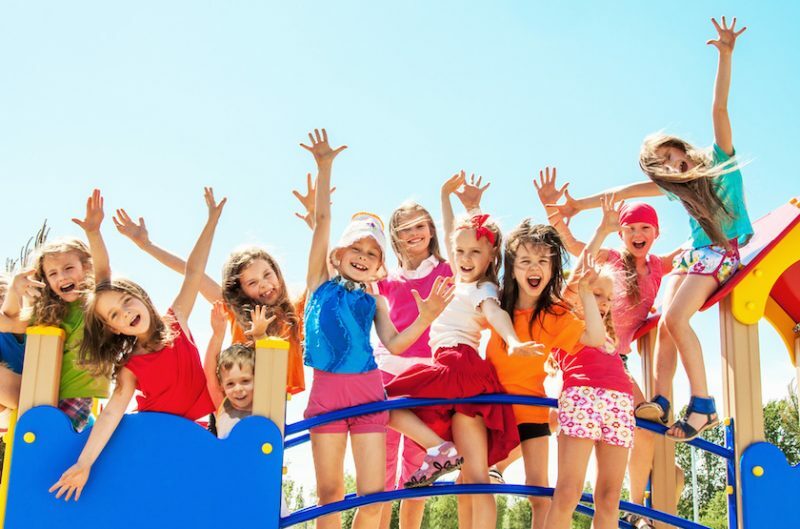 Keep these considerations in mind to build exciting playgrounds that are fun and safe. 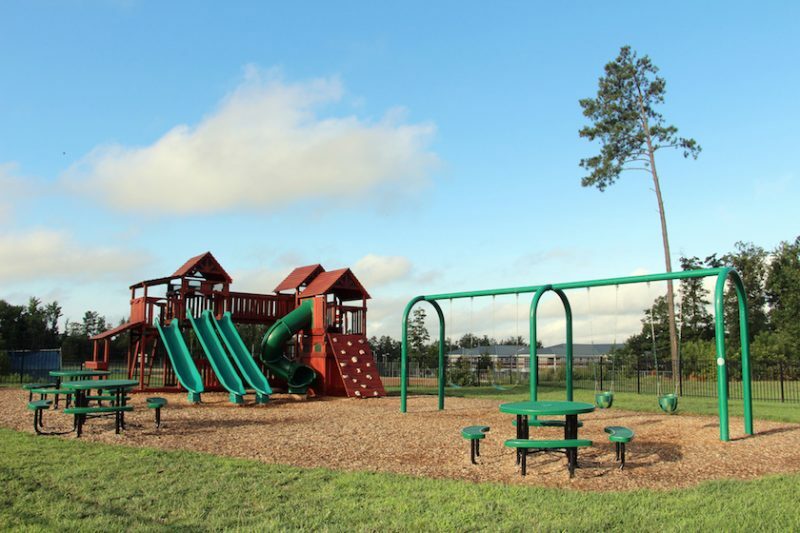 Federal or state funding can actually be used for different organizations, societies and schools who want to take the initiative of creating playgrounds, as well as recreational parks for children. If you observe that your facilities need a playground, you can search out for these grants in order to see whether you can avail of them or not. Aside from this, if you already have a playground and notices that it needs renovation or repair so that it can par up to safety standards, you can also apply for a grant. Whether you are creating playgrounds from scratch or just replacing some equipment as part of repair and renovation, your organization may need extra funding. After all, the money, to be used, may not be readily available for the moment. For most cases in various organizations, these types of projects are simply left behind, and ending up being ignored for many years. The government, together with different organizations, has initiated a solution in order to offer back to the society a portion of what they receive from it. The need for these parks has been raised, and thus, initiative was put into place. When talking about repair of currently existing playgrounds, there is priority on old, broken, and potentially dangerous equipment. By adding this new and enhanced equipment, the area will be enhanced, making it suitable for playing among children of different ages. In some communities, these playgrounds do not just serve as a place where children gather because they can also act as parks where the entire family can also meet. Therefore, the condition of these places should be more than just safe; they should also be conducive for leisure and fun. All of these things can only be made possible if there is enough federal or state funding, which is necessary for the repair work. When these areas are in their top condition, they can offer a comfortable and healthy environment for the children and families, helping them stay active, which is also a good way to fight conditions such as childhood obesity. As they interact with other children in the playground, they also learn how to socialize with other people, thus improving their skills. Kids, whose social skills have been founded well from childhood, have a good chance to become better, peaceable citizens when they grow up. Therefore, if your school, community or organization needs money in order to create a haven for association and enhancement of children’s social skills, you can check whether you can avail of the grants offered by the government. This also goes the same way if your current playground needs repair or renovation. This video provides an overview of how to safely use the wheelchair platform swing from SportsPlay Equipment, Inc.